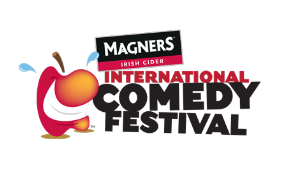 Magners International Comedy Festival in back in Bangkok for its 5th year. In 2018, the largest comedy festival in Asia is bigger and better than ever before. 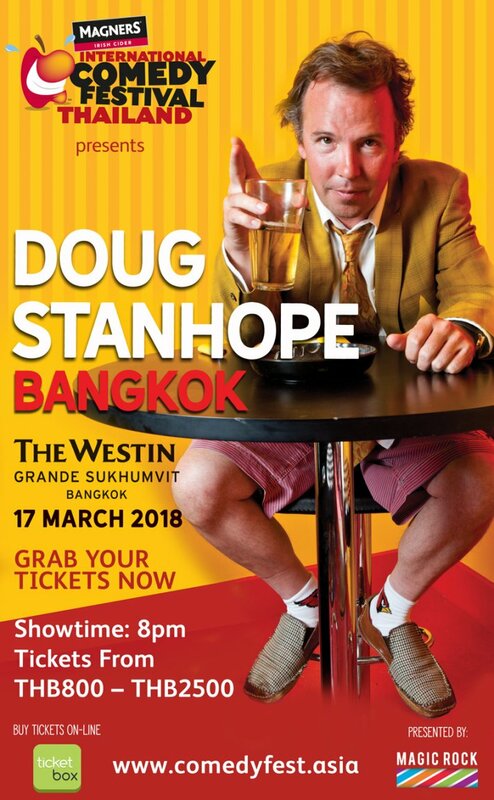 Many international comedians from all over the world will bring laughter to Bangkok this March, alongside US stand-up comedian Doug Stanhope, the most highly anticipated headliner at this year’s comedy line-up. Doug Stanhope will begin his Asia tour in Hong Kong, followed by Singapore, Vietnam and his final showdown in Bangkok. Known for his acerbic wit, fierce intellect and caustic social commentary; fans of comedy and Doug Stanhope can expect an evening of raw, agitated and unflinching comedy from undoubtedly one of the industry’s most original acts. Doug Stanhope’s career in stand-up started 1990. He went on to perform at comedy festivals in Montreal, Aspen, Chicago and Edinburgh, receiving rave reviews and ‘Best Live Performance’ accolades whenever he took to the stage. Today, he is one of the most sought-after comedians and is often compared to comic revolutionaries such as Lenny Bruce, Richard Prior, Sam Kinison and Bill Hicks. "I've never tried to drive my career in any particular direction," says Stanhope. "I've always been an in-the-moment, live-for-today guy. I've never had a goal, and nearly everything I've done has been an accident." It is no accident that Stanhope’s comedic stardom has captured the hearts of audiences and comedians all over the world. He is also no stranger to the likes of Johnny Depp who wrote the forward in Stanhope’s book entitled Digging up Mother, A Love Story. A comedian’s comedian. An impressed Chris Rock said, ”Doug Stanhope is the most dangerous comedian in the world. If we both were fighters I would avoid him at all costs. He's a bad, bad man." And Ricky Gervais tweeted, "Doug Stanhope might be the most important standup working today." News of Stanhope’s Asia Tour has spread even before promotional details were finalised, so much so that when news of his tour went viral, the VIP ticket section in Bangkok has already sold out and its only a matter of time the full show sells out. Tickets are available at selected online ticketing agents. Early bookings are encouraged to avoid disappointment. Organised by Magic Rock Pte Ltd, the Magners International Comedy Festival is one of the largest international comedy events in Asia. He is one of my favorite comedians - better than Bill Hicks IMO. I'm American and I've never heard of him. Just not sure this is the time and place. Dont mention alcohol brands, Doug. If I were in BKK I'd really like to see this, but it's not quite my favourite city and the two counter each other meaning I think I'd rather forfeit the live experience and buy the recording. I thought he'd long ago completed insulting every single race/creed/colour, so curious what he would come up with next. Thanx for that. I'd never heard of him before either. That link made me watch a good half hour of him and i'll watch more another day.